Courtesy of HUB REALTY & INVESTMENTS LLC. Gulf of Mexico views from living, dining and master bedroom. This is a brand new completed condo and is ready to move in. The coastal contemporary design is comprised of 2,742 sq. ft. of open plan living with 10′ 8 ceilings, smart house, 4 bedrooms, 4 bathrooms, elevator 13; and 3 outdoor terraces. Spacious great room and beautiful gourmet kitchen with breakfast, butler pantry, separate dining area with a wet bar. There will be a heated saltwater pool shared by only four residences, there is also a designated pathway directly to Lido Beach. The 1,193 sq ft garage is large enough for 4+ cars. Fabulous location on Lido Key a five-minute walk to St. Armand’s Circle. Minutes to downtown Sarasota. 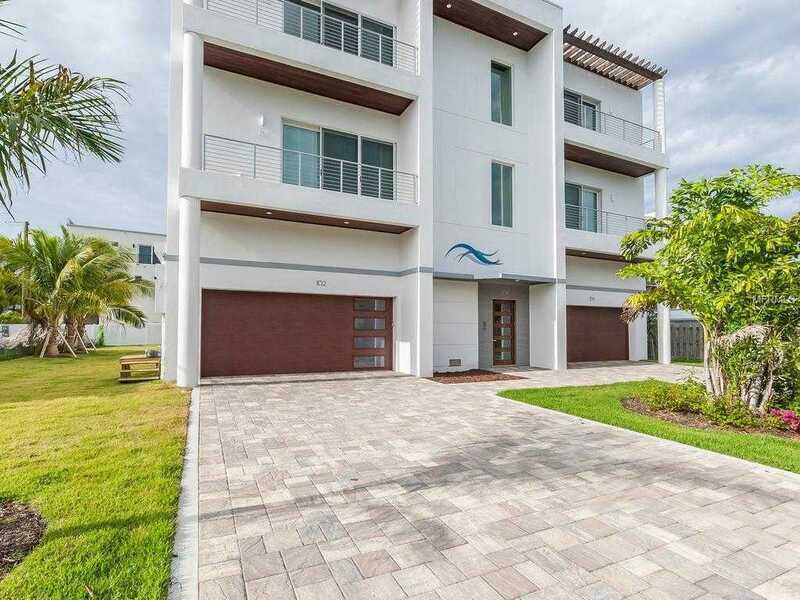 Please, send me more information on this property: MLS# A4417152 – $2,100,000 – 254 S Polk Dr #102, Sarasota, FL 34236. I would like to schedule a showing appointment for this property: MLS# A4417152 – $2,100,000 – 254 S Polk Dr #102, Sarasota, FL 34236.